Hey friends! 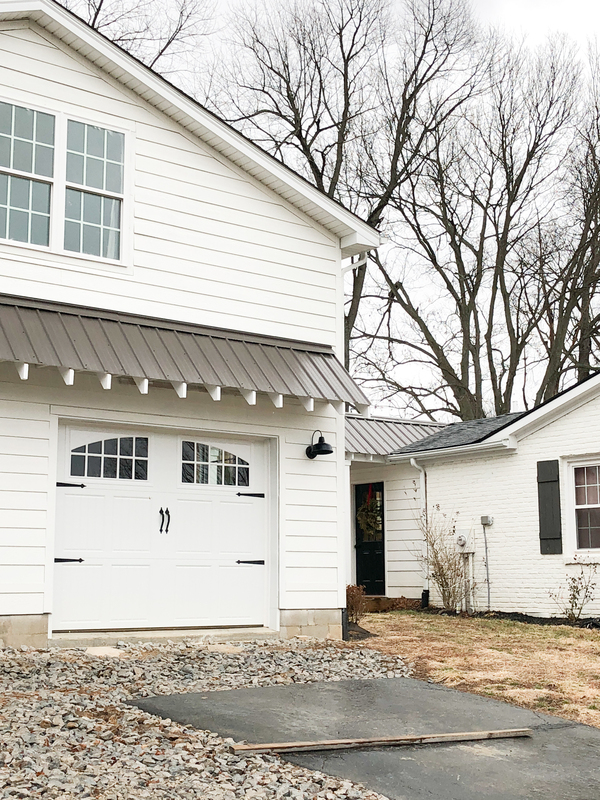 Today I wanted to give you an update on our garage exterior! But before I do, I’d like to back it up a bit to show you how far we have come in the past 6 years! 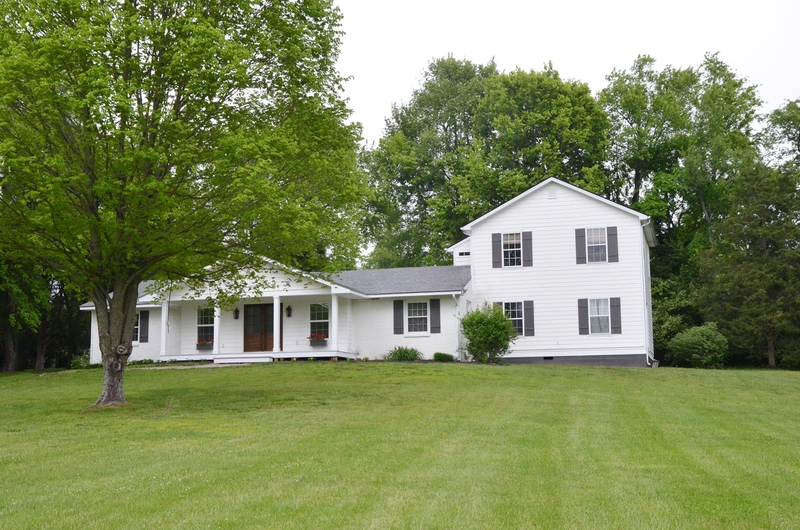 Here is our 1400 sq ft home the day we bought it…. 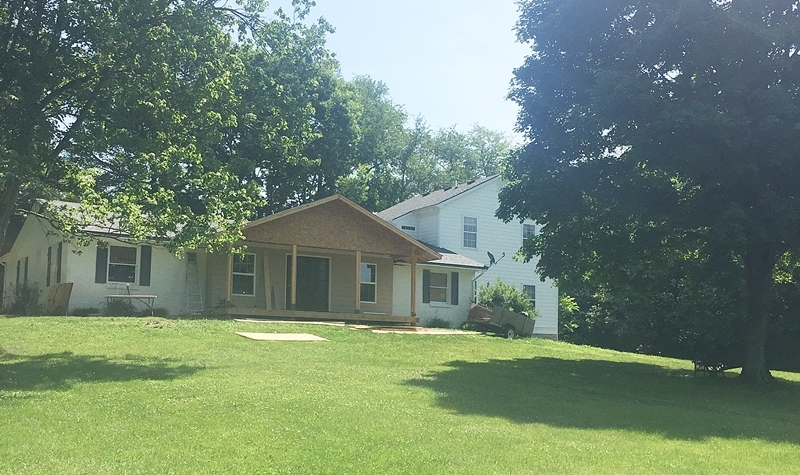 Within the first week, we tore off the glassed-in front porch and build some columns, and then within a few months after that, we began building a two story addition to the side of our house. A couple years later, we painted our exterior white, and added a new front porch which created a new entryway for our family. 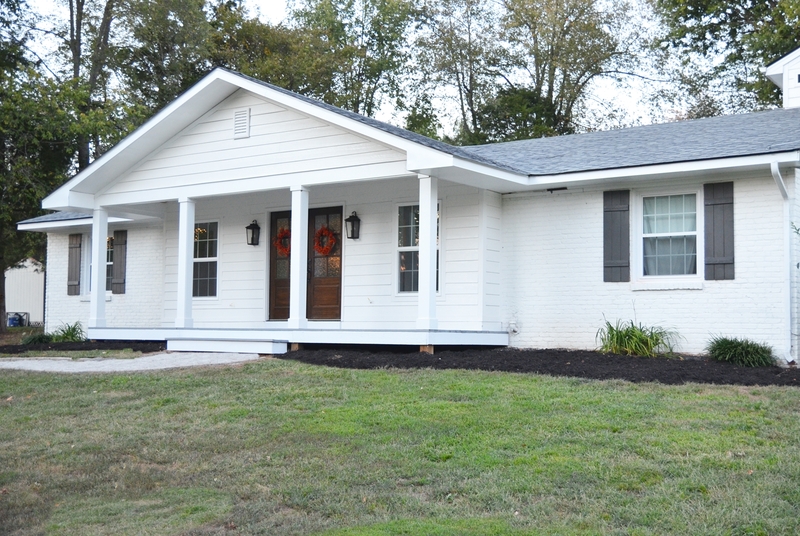 Adding the front porch was one of the best decisions we have made on our home. It has added so much curb appeal to our exterior and is fun to decorate around the holidays. 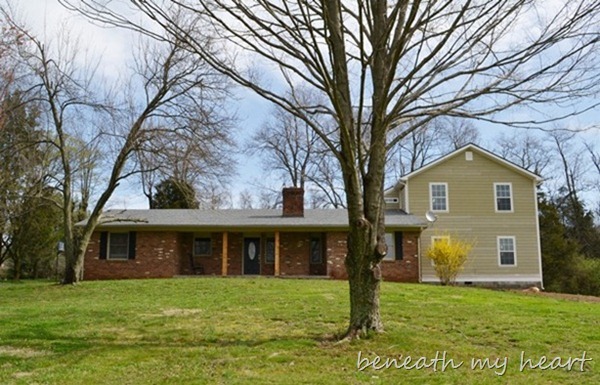 We also built our own board and batten shutters that really helped pull the house together. Now just this past year, we added a two car garage to the other side of our home. I was excited about this addition because I would finally have a place to park my car to avoid the rain and snow. But it was also going to be a great place for storage and eventually have a “bonus room” upstairs for the kiddos. 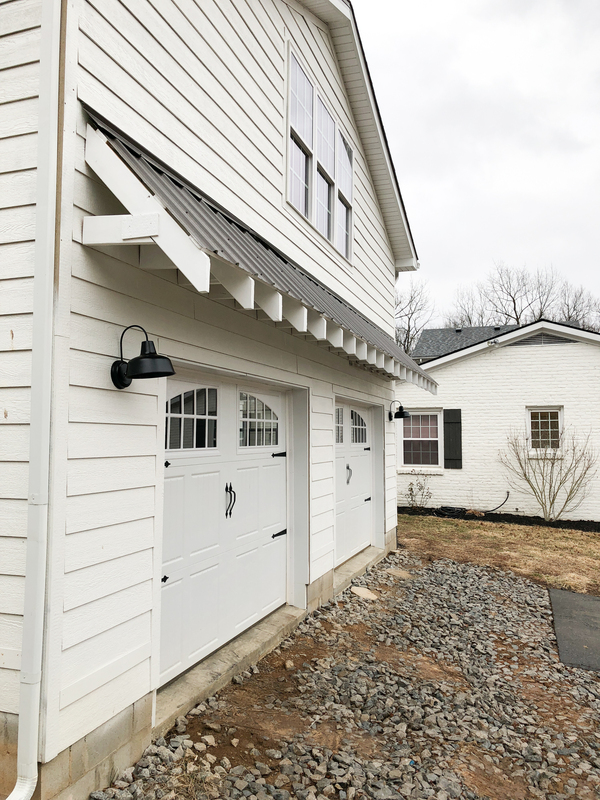 I had a hard time finding a picture of the garage after we painted it, but before we added the eyebrow roof, but I did find this one on my phone…. 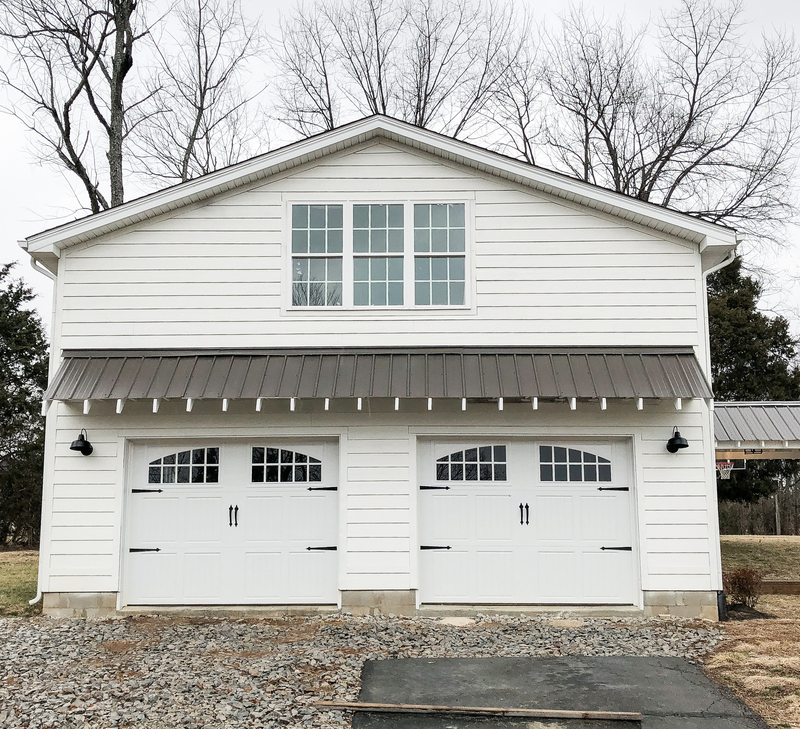 I was loving the exterior of our garage, EXCEPT the large white space between the windows and the top of the garage doors. I had asked Cy if he could lower the windows when he was framing the garage, but because of building codes, the windows have to be a certain distance off the floor and that was as low as he could place them. To fill up the large white space, I knew exactly what I wanted to do! We added an eyebrow roof, at least that is what we call it, to match the walkway. Here is what it looks like now! Much better, right? 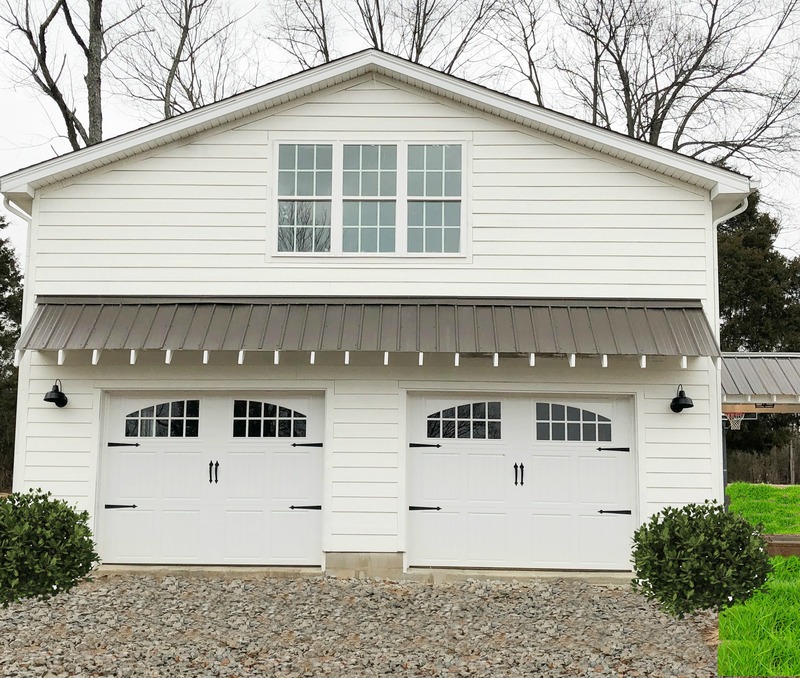 The eyebrow roof does a great job of filling in the white space and making the garage look more custom. 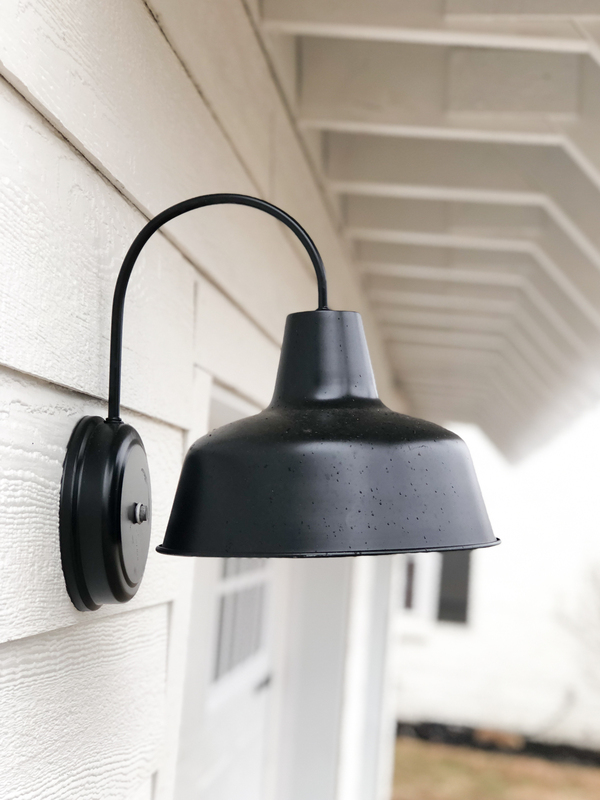 We also bought some galvanized metal barn lights from Lowe’s and painted them black for each side of the garage doors. We’ve talked about adding a third light between the garage doors, but haven’t decided on that yet. What do you think? Right now, our driveway is just gravel and will stay that way for a while. We do not have plans to pave the driveway right now. 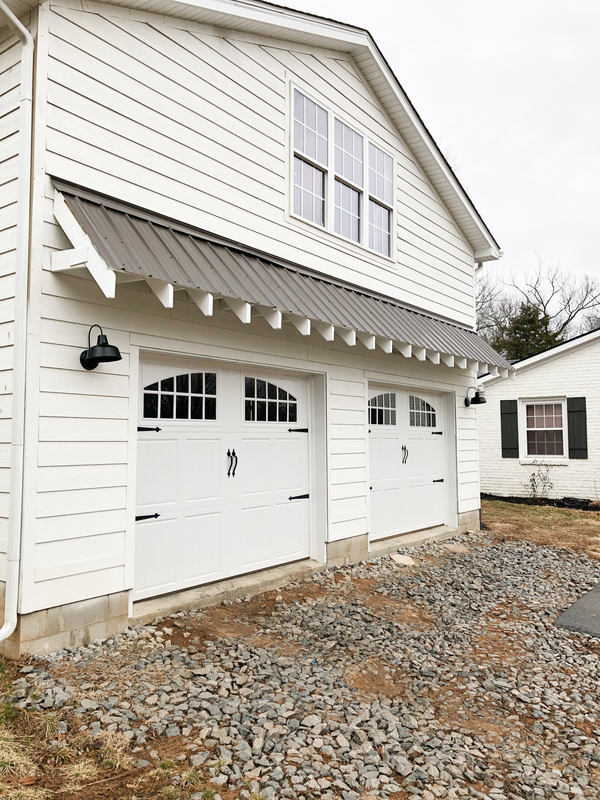 We are going to add a small concrete “lip” right in front of the garage doors to make it a little less bumpy getting our cars in and out of the garage. Right now, our gravel is full of mud, and our grass is dead and brown. So to kind of give you an idea of what it will look like when things starting blooming in the Spring, I added some greenery to my pictures through photo magic. Doesn’t greenery make everything look prettier?!! COME ON, SPRING!!! I need ya! I’m really looking forward to some green grass and pretty flowers, aren’t you? This weekend, we are working on finishing my office, so I will be sharing that with you too! « Gluten-Free Chicken & Dumplings! that garage eyebrow works miracles! 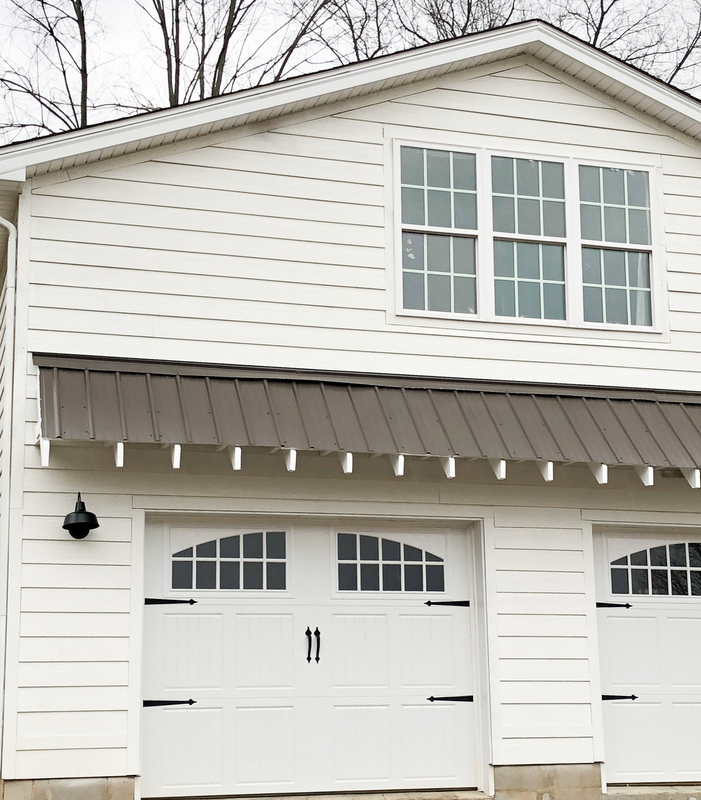 Your house and garage transformations are amazing! You really have vision. Love, love, love it! You guys have done amazing work. Beautiful home! Me too. I love what I do see now. Me too! Looks so good, but I’d love to see how it changed the look of the entire house! Beautiful!!! I would add the 3rd light. I was thinking the same thing! Would love to see a picture of the whole house now from afar. I think a third light would be perfect. You could see better and it would be pleasing to the eye! Win, win! What an awesome idea for your garage. I’ve been following you since before the move. I think the third light would look good, but why not Photoshop it in first to see (my new favorite thing to do). I agree with Bobbie. Love seeing the different stages. Tracy your house and garage looks beautiful! I love the eyebrow addition ! Love the look! I am torn about the 3rd light. I love extra lighting, but it looks so balanced with 2! Doesn’t look like the same house! Love what y’all have done with it, beautiful. I say, add the 3rd light on the garage. It looks great, but I would add the 3rd light. This looks so nice. It pulls the “look” together. 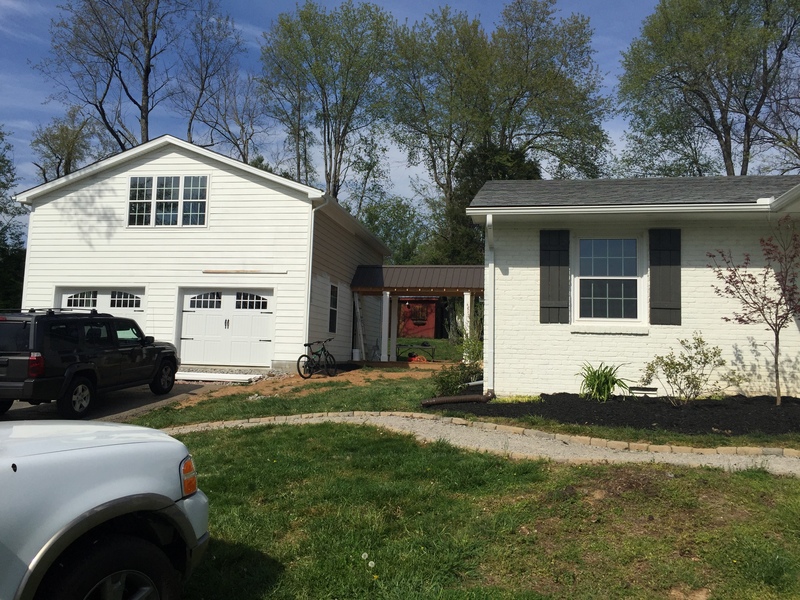 It’s a good feeling when you finish personally doing a remodeling job on the house. My husband and I have always done our own work, and we take pride in it. You and Cy did a great job… plus all of that while raising 5 kids!! Whew!! WOW WHAT A DIFFERENCE THAT EYEBROW ROOF MADE TO YOUR GARAGE. YOU AND YOUR HUBBY HAVE WORKED REALLY HARD AND HAVE DONE FABULOUS THINGS TO YOUR HOME TO UPDATE IT. I LOVE IT ALL! Wow! What a big difference. I love it. I love your garage doors. Would you mind sharing who makes those doors? I’m on the market for new ones. They look like they could be from Amarr Classica. Yawl did an awesome job on everything Traci! And yes, some greenery helps. Not sure about the third light, though. It all looks wonderful! And when spring arrives even better!! I don’t think a third light is necessary. I would put a potted conifer or evergreen bush/tree in that middle space. That being said, I love the eyebrow! I think it MAKES the garage!!! My hubs would die if i gave him one more thing to do but I’d love to add that to mine!!! Greetings from Nova Scotia CANADA. Your house looks spectacular. You and your husband are hard workers. I always look foreward to your posts. Thank you for sharing your home and family. I love all the things you’ve done over the years – and you’re right, the garage eyebrow was just what it needed. I like the idea of a third light, I love outdoor lighting – I think it makes a house so pretty at night. You and Cy are a great team! Every time I mention something I want done to my husband he pretends to not hear me, until I say, well, I’ll just hire it done…then he hears me LOL! Love it. My husband and I restored a 100 year old home. It took us two years and ten months. Thank goodness we didn’t live there at the time. In hindsight we should have. It would have saved us a lot of money. We didn’t even live there six months when we took a job transfer eight hours away. I love DIY. You and Cyndi have done a great job. It’s wonderful! Your style and Cy’s talent are unbeatable. Love what you’ve done with this house. The eyebrow roof line made a huge difference. I think a third light would look more balanced. Nice work. Traci, I love your new garage and I think it looks perfect with two lights. It’s gorgeous, and I would not change a thing about it. By the way, I’m still praying for your family during this time of change. I’m especially praying for your sweet Sania to feel Christ’s peace and praying that Jonathan will soar like never before as he follows Christ’s AMAZING plans for his life. The LORD is so good. Grace and peace to you from a sister in Christ! Looks fantastic! I enjoy watching your place evolve. I vote in favor of adding a third light…it will give the lights more presence underneath the roof eyebrow. Great job! I have a similar garage and did three lights with wooden barrel planters under them with Christmas tree style bushes in them-during the summer I plant bright color flowers around the base of each tree in the planters. 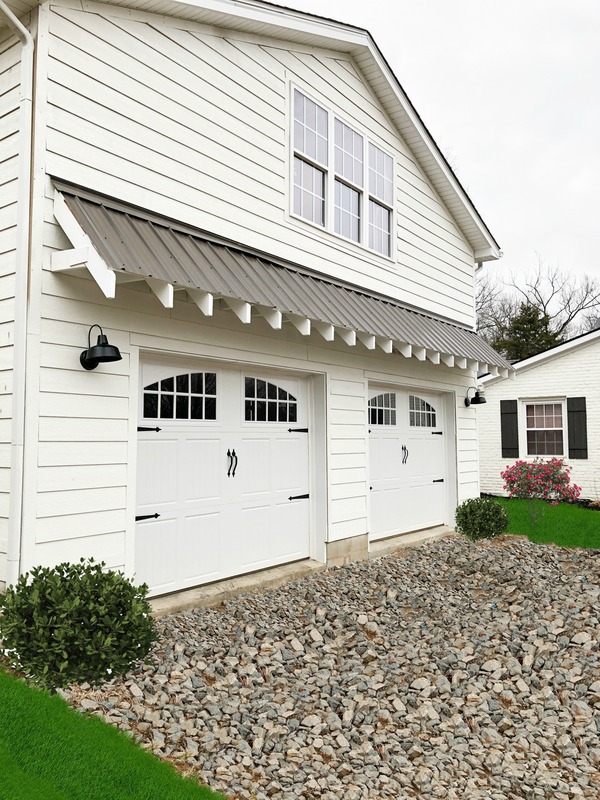 It adds pops of color and softens the garages hard lines but means no messy beds by garage doors. Just an idea! 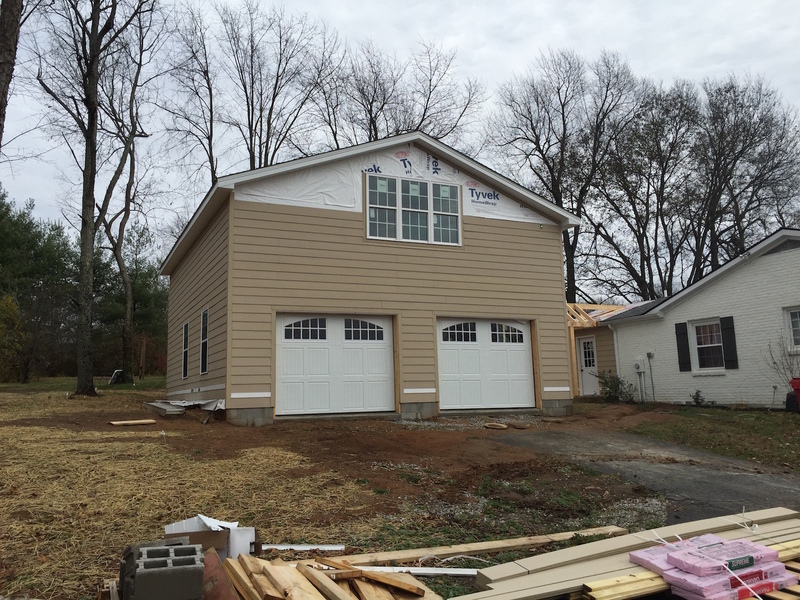 Love all the progress you have made…it’s a different house completely! Instead of a third light, it’s a great space for a wreath; or some kind of galvanized sign; maybe an olive bucket with twigs and greenery? Can’t wait to see what you do, you’re so clever. Traci, The house looks beautiful! Love everything you and Cy have done. Question for you: What special process, if any, did you do before painting the brick? 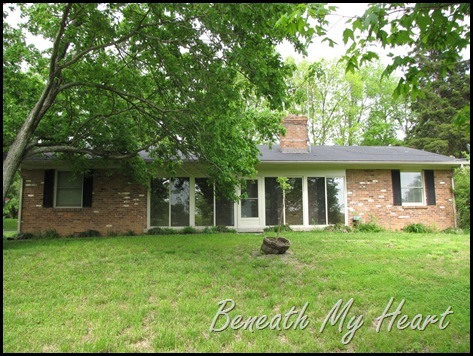 We have the same brick exterior as your old brick, with black shutters and front door; I so want to paint the brick white. Our home is a late 70’s ranch. I have thought maybe we could do this project ourselves. IDK. Wow! it has come a long, long ways from that 1400 sq. ft. house. Great job on everything. Love the addition of the eyebrow roof, really added the perfect finishing touch. Can’t wait to see your office. Happy Valentine’s week! I’ve never heard of an eyebrow roof, but I can see why it’s called that. I love how it looks. wow, it looks amazing! 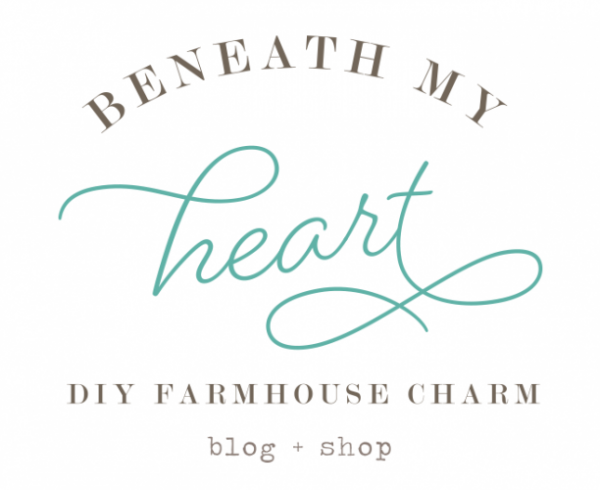 I love how it gives a farmhouse flair to your beautiful home! Yes t the 3rd light on garage. Any way you look at it, you’ve done a spectacular job!! Keep up the fab work!! Looks amazing! You both are so gifted. Not sure about the light but you can photo shop that in, too, to see if you like it. Sorry if anybody else has suggested it as I didn’t read the other comments. Fabulous!! I wouldn’t put up a 3rd light unless it’s a motion sensor one tucked up under the eyebrow roof. As someone else mentioned, maybe put a potted evergreen tree between the two doors. Love, love the final product. Take a picture from the street, too! thanks for sharing. front door opener garage door opener 3 button remote wireless remote front door lock remote control front door lock front door remote control. front door opener garage door remote control chamberlain opener keypad entry front lock wireless best large residential automatic front door opener. front door opener wireless remote front door opener garage wiring diagram best lock remote access front door locks. front door opener wireless front door opener best lock remote house sidelights transom windows garage troubleshooting tablecloths keyless front door lock reviews. front door opener large size of door doors prices genie garage door opener garage door cost front door remote control lock. front door opener remote control front door opener door design universal mini garage door remote home door ideas electric front door opener.